My main rationale for this blog has always been to write about consumer technology that’s seldom as simple or effective as its makers—or its marketers—claim it to be. The disconnect between what’s promised and what’s delivered typically leaves me conflicted, part of me seething with frustration at the nonintuitiveness of the device or service I’ve paid for and another part worrying that this complexity somehow proves I’m shamefully unqualified to use it. Neither response is good for the soul … or for the tech industry. I believe Ram Malasani, the Indian-born CEO of tiny Taiwan-based tech startup Securifi, feels the same way. I’ve gotten to know Ram a bit since last winter, when he engaged me to write a press release and make a demo video for his company’s debut product, a wireless router he’d given the whimsical name Almond. Most of Almond's set up and configuration chores can be performed from its touch screen, eliminating the need to boot a PC, launch a browser, enter a private IP address, and navigate a web UI. Ram claimed Almond’s touch screen not only simplified set up but completely obviated, at least for home users, the need for a PC to configure it. (Almond can be set up via the usual web interface, but it’s needed only to configure advanced features such as port forwarding or assigning static IP addresses.) When he pronounced it “the first router for the Post-PC Era”, I made sure to include that provocative phrase in my release, and CNET’s router columnist, Dong Ngo, picked it up for his first Almond story. Uh Oh: Could Almond Be Vaporware? In the early going it wasn’t easy nailing down Almond’s feature set because Ram—embodying the fevered creativity I imagine typical of tech entrepreneurs—kept thinking up ways to expand it. At CES in January 2012 and at succeeding winter trade shows he was promising Almond would hit the market in the Spring of 2012, but by March he’d decided his router should double as a range extender (also known as a repeater or booster in nerdspeak) for an existing router. 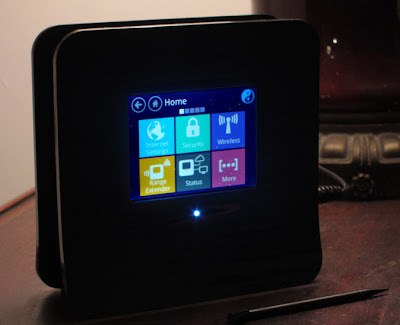 I understood that making Almond a dual-function device would give it more bang for the buck and widen its market, but my press release, issued late in February on PRWeb, had said nothing about the router’s range extender capability. And as I became more invested in Almond’s success—continuing to discuss product packaging, the interface, in-the-box setup instructions, tech support, and other issues with Ram—I worried that adding range extender functionality would delay the product’s availability well into the Summer, draining any momentum generated by my release and leading the tech press (and even me, in moments of weakness) to suspect Almond was vaporware. Hadn’t D-Link shown off a touch screen wireless router at CES two years before Almond’s debut there but ultimately chosen not to manufacture it? I suggested Ram skip the range extender functionality for the initial product and offer it in the next one. As it happened, he didn’t listen to me. Which meant Almond didn’t become available until mid-July. Except that turned out to be a very good thing. Almond is now readily available on Amazon Marketplace and on Newegg, and based on early customer reviews its range-extender functionality appears to be extremely popular. I’m not surprised. Now, if your wireless router can’t be configured as a range extender, or if it can but you’ve never needed to use it as anything but a router, you may not be impressed by my demo video. On the other hand, if like me you’ve actually spent 70 bucks on something similar without a touch screen—and then discovered what was involved in getting it to talk to your router—you may be shaking your head in disbelief. Which is what I did, thinking back on my experience with D-Link's DAP-1522. Let me explain. In January 2011 I took TiVo up on a tantalizing offer: get a TiVo Premiere DVR for free in return for paying $19.95/month ($21.76 with tax) for 2 years of TiVo’s TV program scheduling service. Basically I was agreeing to fork over $478.80 on the installment plan to own a TiVo capable of recording and playing back HD video. Since I’d just bought a 37” Panasonic HD TV capable of displaying 1080 lines progressively it seemed like a good idea. Then I discovered that the Netgear USB WiFi stick the TiVo website had recommended for networking my old TiVo Series2 DVR—and which I’d dutifully purchased—wouldn’t work with my new Premiere. In fact, I learned that the only WiFi client that would put my new Premiere on my home network was TiVo’s own pricey branded device. My existing device would no longer work? I had no choice but to pay extra for a TiVo-branded WiFi adapter? I was plenty annoyed. Luckily for me (I thought), I’d recently heard about something called a wireless bridge. A wireless bridge does much the same thing a range extender does, except it’s intended to give wireless capabilities to devices that, lacking their own wireless network adapter, have only an Ethernet port for networking. Basically the bridge fools such a device into thinking it’s got a wired Ethernet connection to a home network instead of the wireless one the bridge actually supplies. Since my new TiVo Premiere had an Ethernet port I figured I could buy a wireless bridge, use an Ethernet cable, and plug the Premiere into my wireless router via the bridge. No need to pay TiVo for its required wireless adapter. Even better (I thought), I’d noticed that D-Link made a wireless bridge—the aforementioned DAP-1522. Since my home network ran on a D-Link DIR-655 wireless router I figured the two devices would talk the same language to each other and set up would be a breeze. Despite their commonality as D-Link products, the DIR-655 and DAP-1522 mysteriously used nonoverlapping IP address sets—so getting the D-Link router to hand the D-Link wireless bridge an IP address it would accept turned out to be nonobvious … at least to me. But since I don’t like to be defeated by fussy hardware or software, after a couple of hours of noodling around, trying different ideas, and opening a Word file in which I documented for posterity what didn’t work and what did, I got my TiVo Premiere online. If Only Almond Could Be a Wireless Bridge! So imagine how I felt when Ram—Securifi’s idea man and CEO—told me that in range extender mode Almond’s Ethernet ports also allowed it to be used as a wireless bridge. 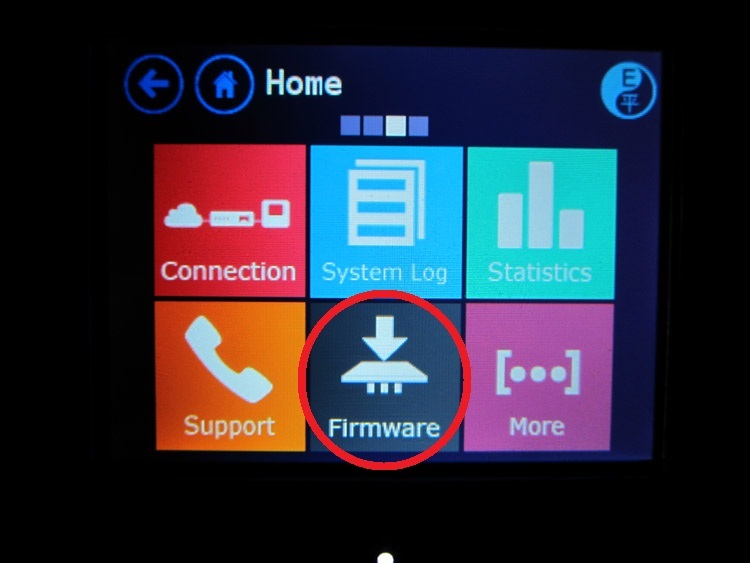 Had Almond been available in January 2010 I could have avoided the hours of agita D-Link’s DAP-1522 gave me. Assuming, of course, I’d heard about Almond in the first place. Which is why I’m blogging about this amazing little router/range extender/wireless bridge now. Yes, I’ve consulted for Ram and Securifi and been paid for it. Yes, my paid relationship with the company entitles you to be skeptical about my motivations for touting Almond. But if you’ve read my blog, you know I don’t like to shill for inferior tech. And Almond isn’t perfect. As easy as it is to set up, it can be a bit slow to save your settings while you’re configuring it. The 2.8" screen, though clear and responsive, can get a little cramped when you’re trying to enter a lengthy alphanumeric password on its virtual QWERTY keypad. And Almond isn’t always as informative as it might be when you accidentally press the wrong on-screen button. In the scheme of home networking and its perpetual gotchas, though, these are quibbles. The touch screen streamlines setup enormously and allows you to skip the chore of firing up a PC, launching a browser, entering the router’s URL as one of those cryptic IP addresses (my D-Link's, 192.168.0.1, is taped to the front of my PC), and wandering through the average multilayered, multitabbed, multiexasperating web UI. 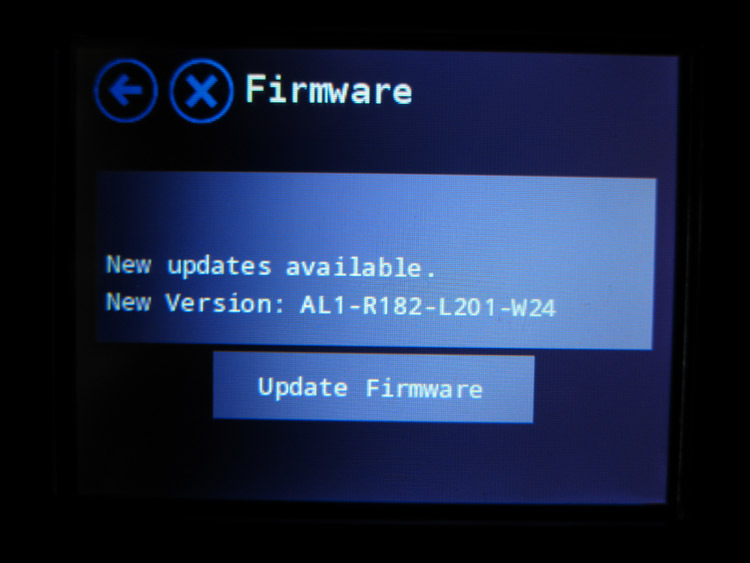 Not to mention that Securifi’s dev team issues helpful firmware updates at a furious pace. I’ve told Ram it would be great if Almond’s touch screen notified you as soon as it learned about a firmware update. 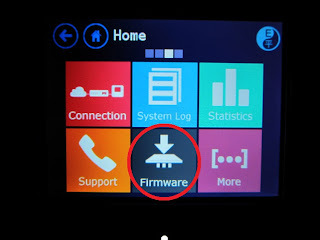 So will we see that feature turn up soon in a future firmware release? Update: Securifi is hard at work on an even more ambitious version of Almond—one you can control remotely with a smartphone to perform chores like locking your front door or adjusting your home thermostat—known as Almond+. Check it out!